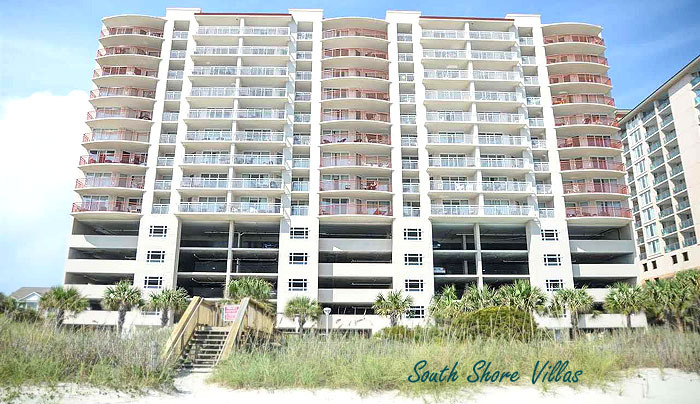 The South Shore Villas condos are some of the newer condo-hotel type units in North Myrtle Beach. Located in the slightly less busy Crescent Beach section, South Shore is in the middle of the city - convenient both to the Barefoot Landing, restaurant row areas; as well as Main Street shag clubs and the Cherry Grove Pier. These are luxury condos with all the upgrades such as granite countertops and tile floors, jacuzzi master tubs and bright, designer-type furnishings. Built in 2005, you don't see many of these condos for sale. 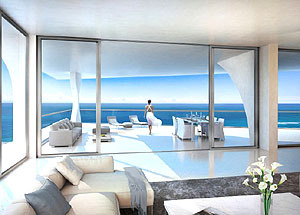 If you are interested in a condo in South Shore, and you do find one for sale, don't wait around. Because they are one of the more updated resorts, the rental requests are high, and they usually provide a good income. Prices run in the mid $300's. The South Shore Villas have established themselves as a vacation favorite. Call us to see the available units or for more information.